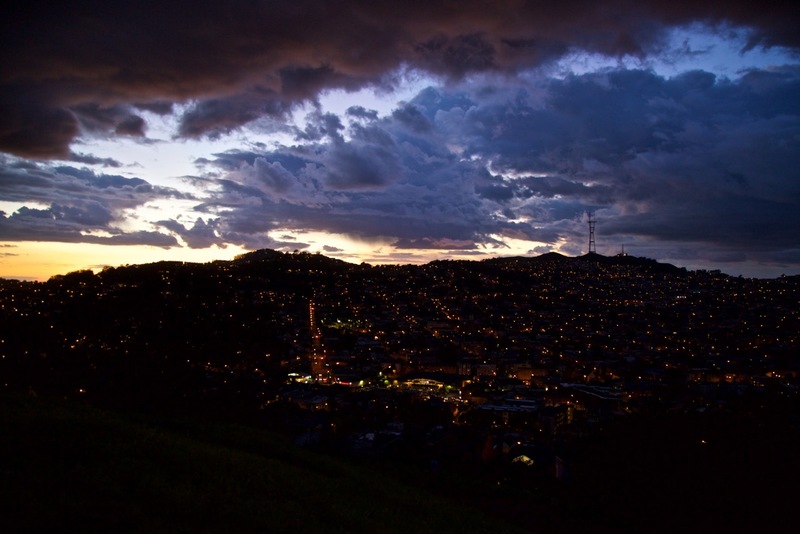 Just before dusk last Saturday night, the skies above Bernal Heights lit up like an Electric Kool-Aid Acid Apocalypse. 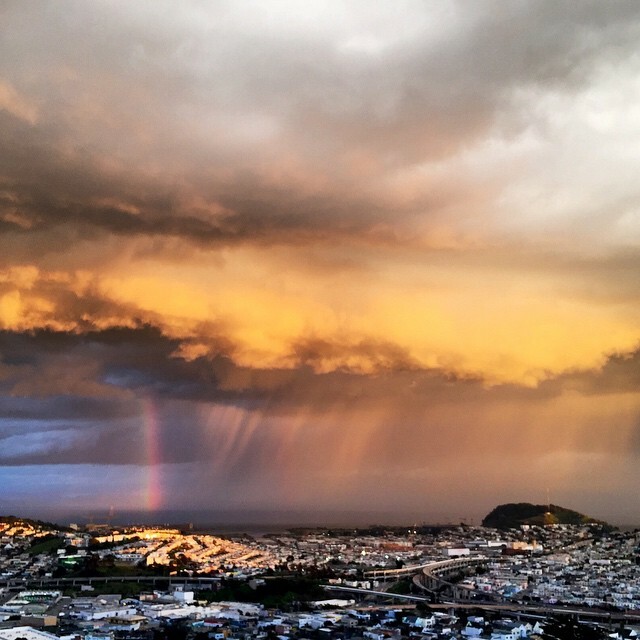 The clouds had been funky and exceptionally fluffy all day, but just as the sun was preparing to set, a storm squall blew through San Francisco. 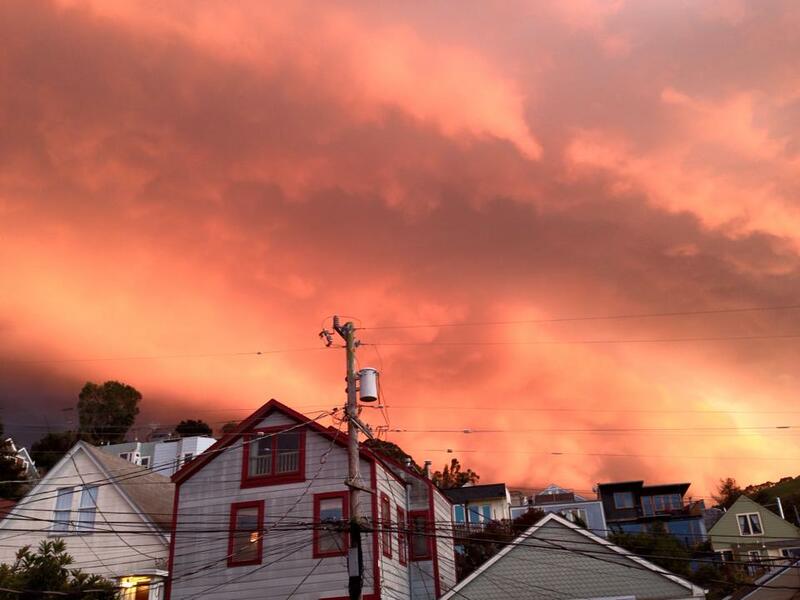 So when the sun dropped near horizontal behind Twin Peaks, the color and texture of the sky basically… exploded. 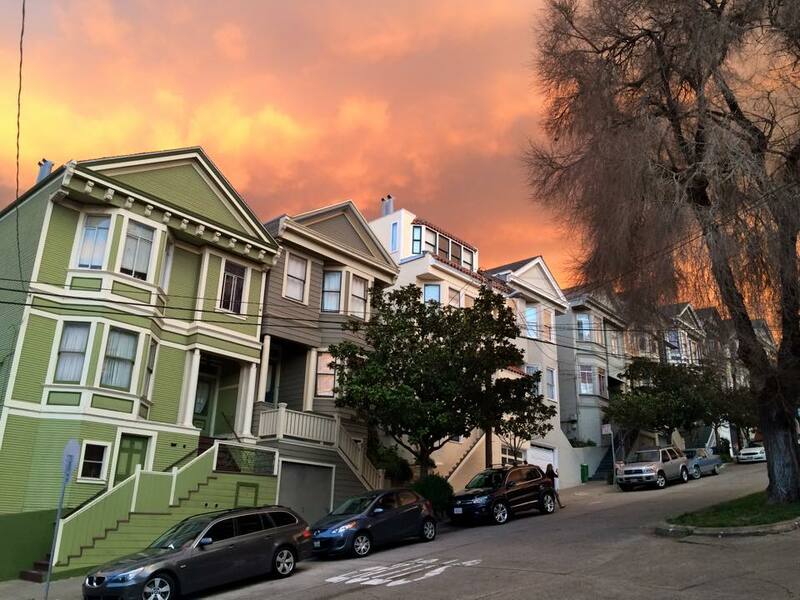 Much like our ancient druid ancestors, the residents of modern Bernal Heights took note of the fiery sky and gazed in wonder. 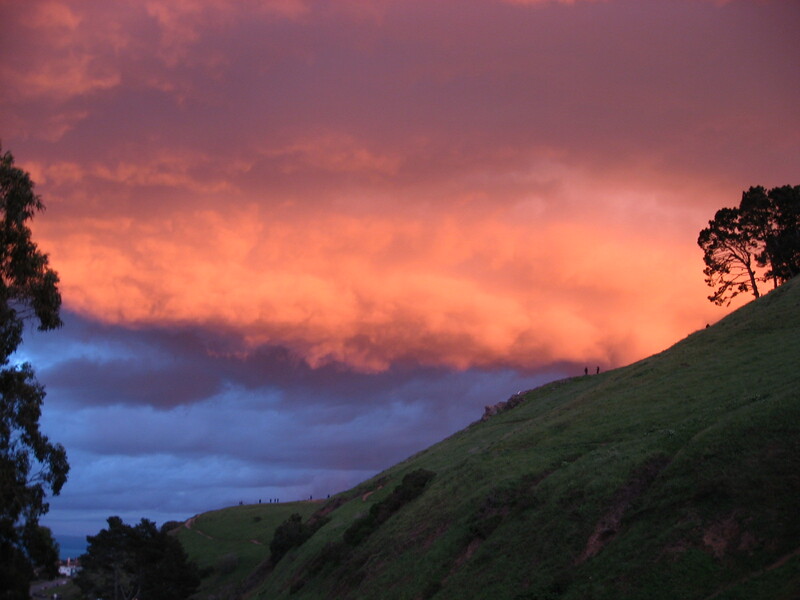 Yet unlike our druid ancestors, we had smartphones to document the amazing moment #nofilter style. 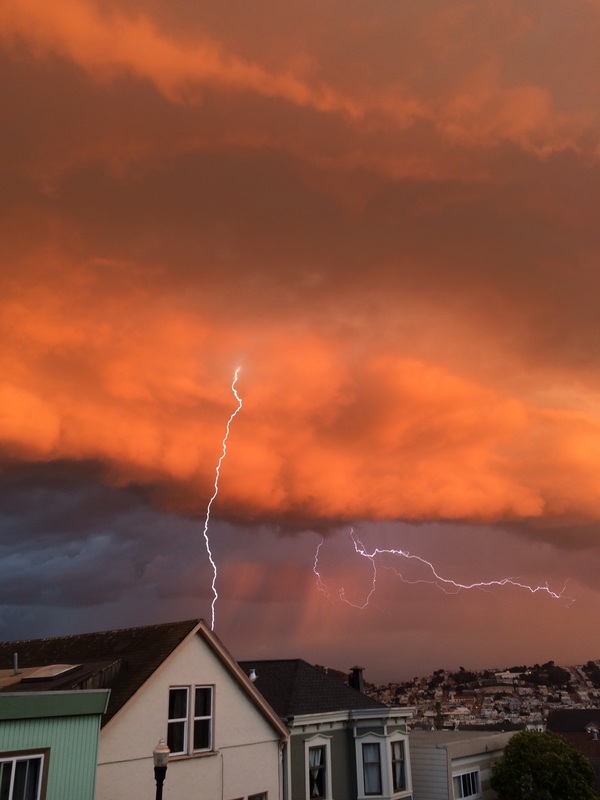 Neighbor Beth Zonderman captured the incredible moment shown up above, when the billowing orange sky lit up in a zap of lightning. Incredible. 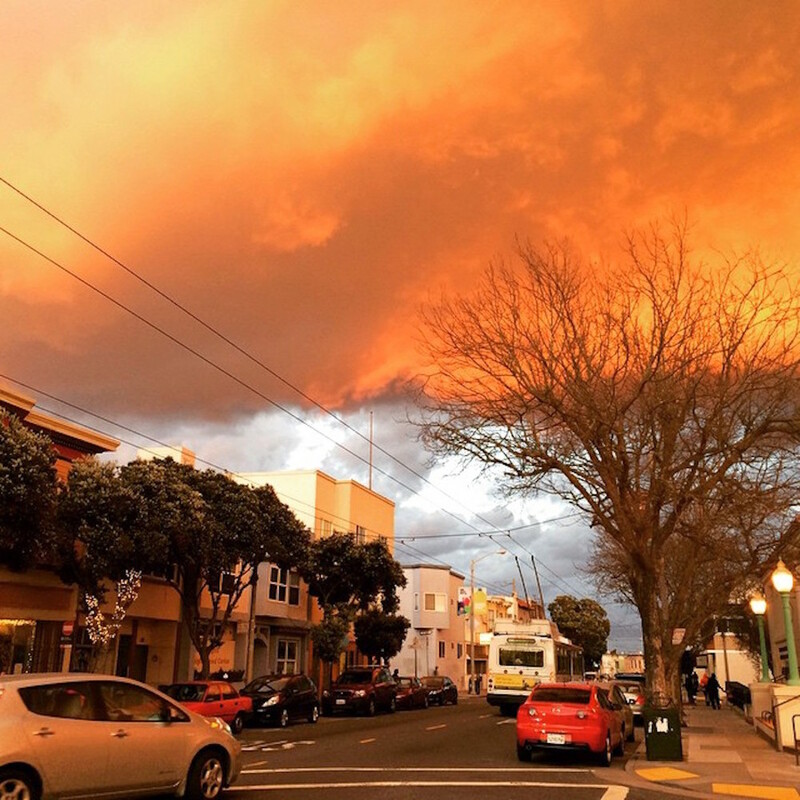 Chef Tim from Ichi Sushi was crossing Cesar Chavez when the sky exploded, and he took note as well. 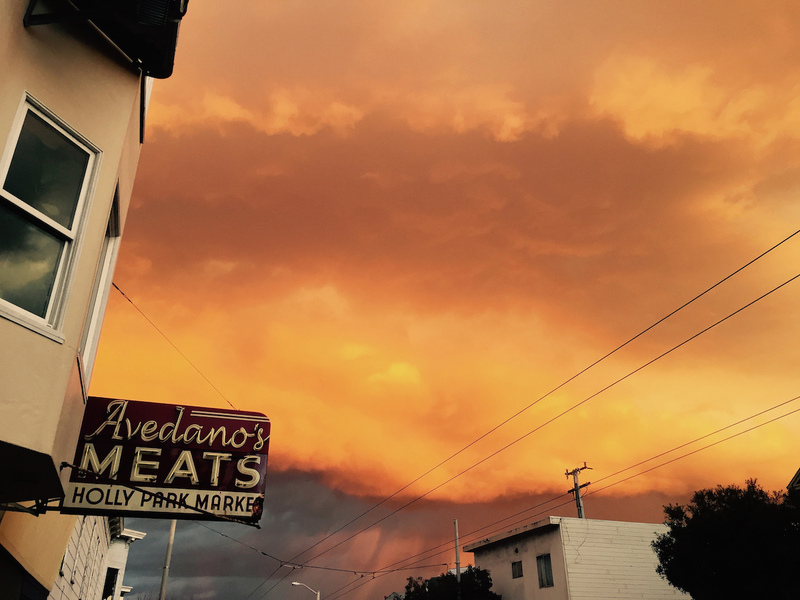 Celebrity chefs appreciate freaky weather patterns… just like us! PHOTOS: See citations in text. All photos are the property of their photographers. Phenomenal images! Love the one with the lightning and the one with the rainbow! I suddenly noticed eerie, gorgeous light creeping over my reading. 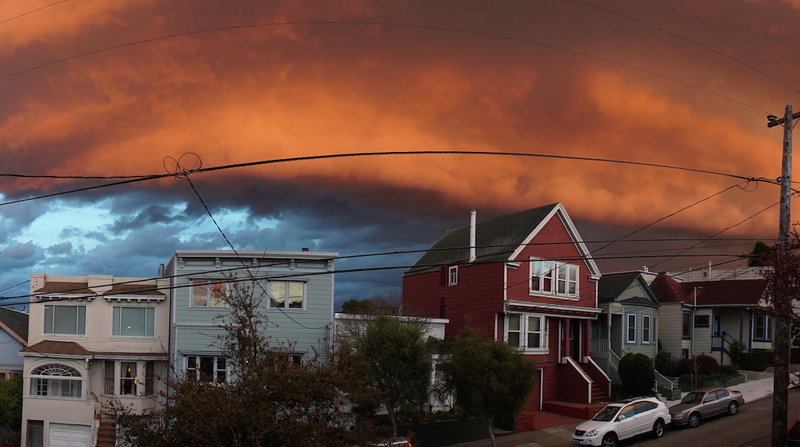 Looked up and saw amazing skies. Thank you for capturing the beauty everyone! I was in the Safeway parking lot – the cloud looked like the desert storm in the American Sniper, scary and beautiful. Thanks neihgbors and Todd for capturing and sharing that amazing moment! There were 5 or 6 kids about 12 -14 in front of the Good Life…the light was crazy very Wizard of Ozie and everyone was snapping shots- after a really loud crack of lightening the kids tapped my shoulder and said. “excuse me we are really scared, what is happening”. I said, “it is a storm coming”. They said, “but what is that noise?”. I am pretty sure they thought they were witnessing the apocalypse, weather and nature gathered all our attention in that moment…it was sweeeet. wow, great photos! glad someone got a great shot of the lightning. 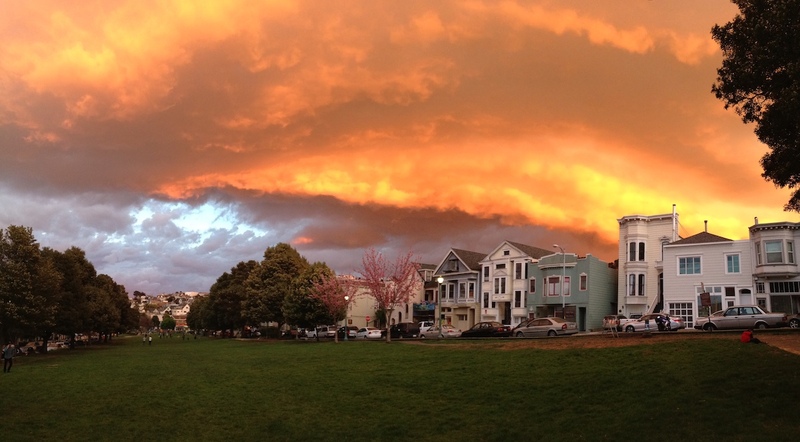 The sky was so beautiful that evening it brought so many neighbors outside in awe. Astonishing. 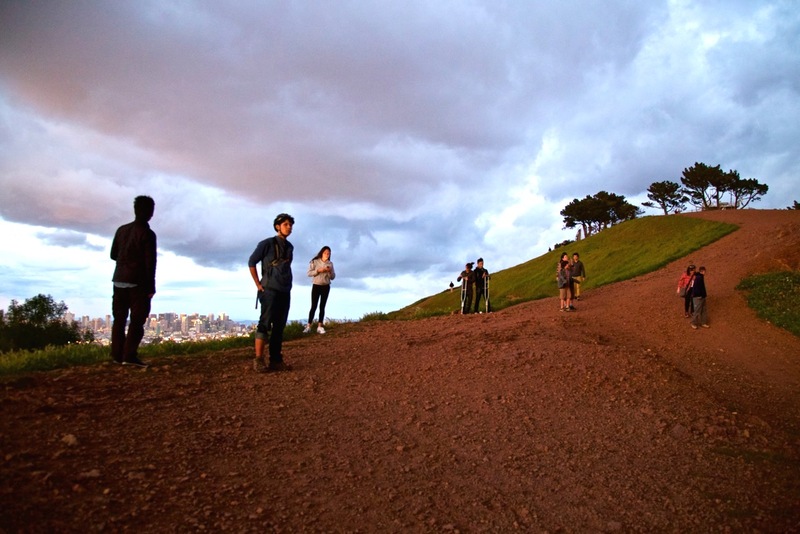 Bernal is truly blessed on so many levels! Absolutely crazy stunning! I noticed something bizarre was going on from the North Bay, but who knew it was so unbelievable. Great shots! I don’t know how to upload a photo on this site or I would contribute a couple of mine- but almost the best part about this was the neighborliness of the experience. I rushed up to the rooftop deck of some neighbors I DIDN’T know, with a bunch of neighbors I DID know and it all felt really festive.